The New Year Holidays are almost in here and after looking through party hairstyles, now you can come to think about the after party. Indeed, I am sure that most of us, ladies, have chosen the gorgeous hairstyles for New Year Eve, we have thought of the dress, the make up and all possible details, but for a moment come to think that after the great party you will still have holidays. So what to do to look cute and not waste each day time on hair styling instead of having fun with family and friend? It's easy, just follow hair trends 2015 and stay natural! That means that easy hairstyles are what you will need after the noisy New Year celebration. You can just wash you long bob and leave it wavy or straight, you can style a messy braid from long tresses, a careless ponytail hairstyle. Just be sure that your is healthy and experiment with simple hair designs. If you have the super trendy bob hairstyles of the past year that are also called lobs, then you have nothing to worry about, just leave the hair as it is, and you will look cute. If after waking up you find your long tresses in total mess, don't be upset! 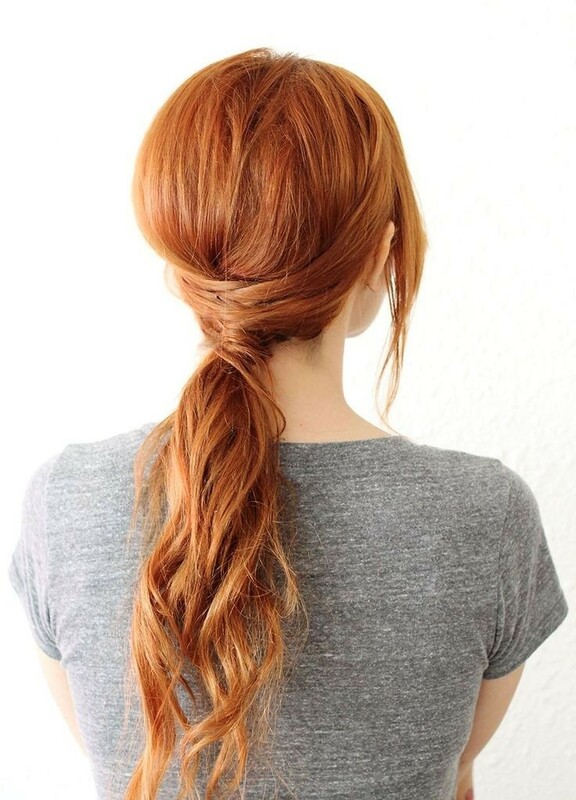 Just style them in a low ponytail, be creative a bit, and you will have great looks. 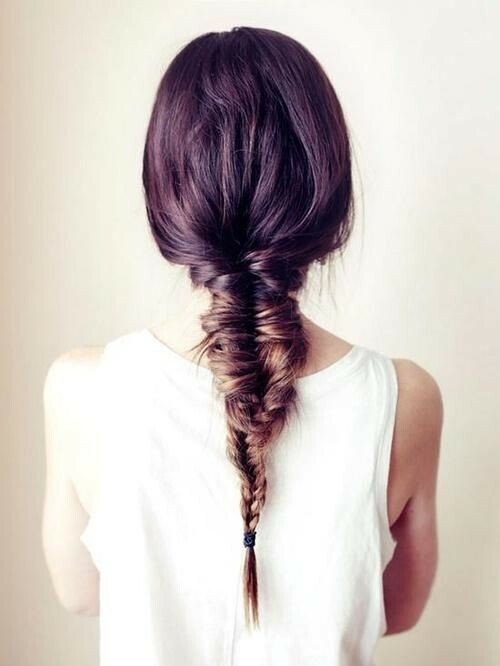 Here is another option for untidy hair after New Year Eve, messy fishtail will be perfect to make you look relaxed and a bit prepared for holidays. Your New Year hangover can result in such a cute hairstyle for 2015, the blended style of fishtail and French braid. If you are not in the mood of pulling up your hair, you can wash them, apply a bit of styling mousse and dry. You will get the above looks. The ever popular beach waves hairstyles will be perfect even on a cold winter day. For Christmas holidays they will bring warmth and summer spirits to the party. Ponytails will rock the coming season and it is very wise to start practicing them now, but well i can't imagine a woman whip can't make such a ponytail. Now it is not only easy and quick, but trendy hairstyle as well. We know that bob hairstyles do not loose their position among the best hairstyles of all times. For holidays choose contrasting outfit and hair colors to look impressive. 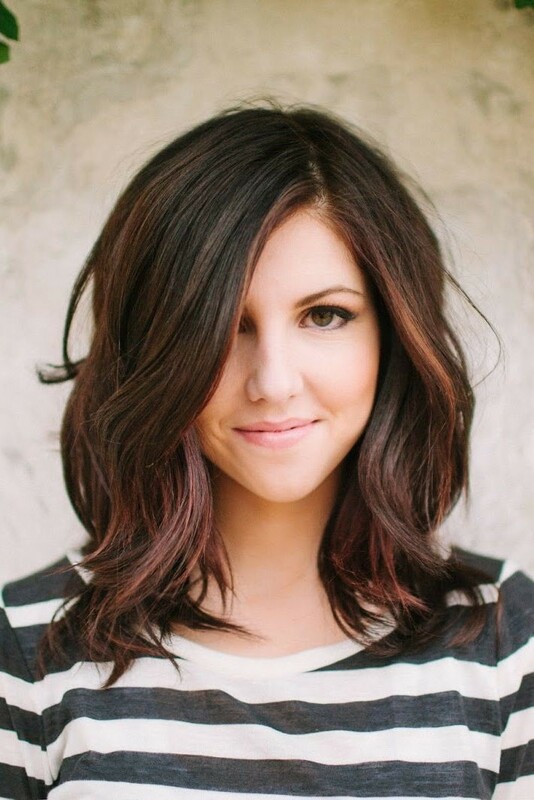 Shaggy bob haircuts are very popular and if you happen to have ombre hair coloring, be sure to spend no time on hair and look gorgeous! 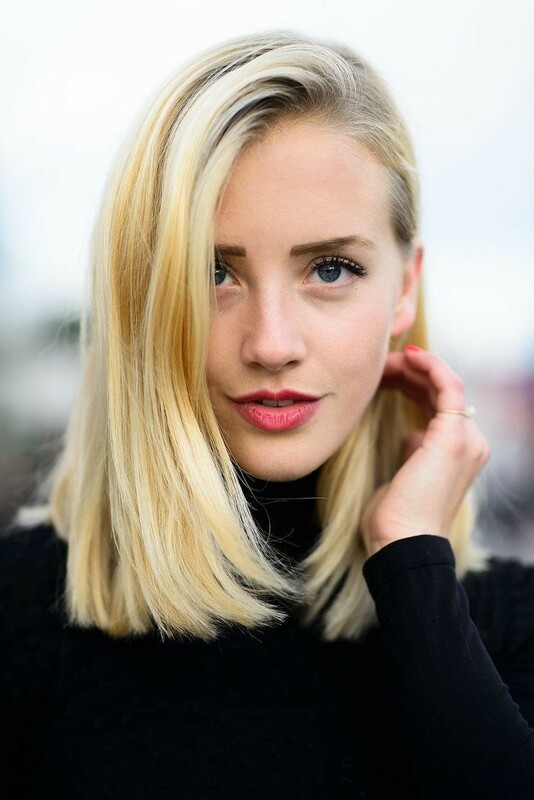 The hairstyles 2015 are mostly considered to be long hair designs, but many of us still wear medium hairstyles. To leave the slight waves not styled and have ombre color will make the medium hair look fashionable.